His mother deserted him as an infant. His wealthy, disinterested father raised him at arm’s length in an emotional vacuum with only Stella, his house manager, desperately trying to inject some magic into his life. As a young adult, Ethan McBride has to learn about love, commitment, and trust as he stumbles into one of the greatest tragedies of his life. 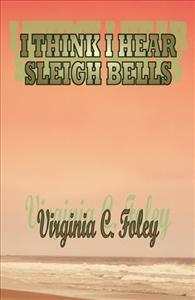 He learns that some questions have no answers and life sometimes demands the unbearable, but with perseverance and the love of a loyal confidant, anything is possible—even sleigh bells on the beach in the middle of September. I really don't get much of a chance to read books, but I just couldn't put this one down. Always had something to peak my interest. I look forward to reading more books by this talented auther.